(MENAFN - The Conversation) Unfinished works of art have long had a poetic allure . Such works are attractive to us today, in part, because of the curiosity and sadness that inevitably accompany fragments. What have we lost? What might it have become? Perhaps more importantly, unfinished works promise to open a window into the creative process more transparently than 'finished' ones. They can provide insight into both the intellectual decisions and technical means by which the artist sought to create something. For Pliny the Elder, artists' unfinished pictures were 'more admired than those which they finished, because in them are seen the preliminary drawings left visible and the artists' actual thoughts'. Similarly, in the 19th century, sketches became central to models of the creative imagination, appearing to grant privileged access to this moment of inspiration . While certain genres celebrate the fragmentary, scholars are often squeamish about dealing with incomplete works, and significant funding to undo unsavoury past attempts to restore sculptures sits alongside occasional outbreaks of public vitriol at botched restorations of paintings and carvings . Nor are these arguments new. The archaeologist Ludwig Pollak discovered in 1905 that the famous Laocoön sculpture — unearthed in 1506 — had been supplied with a new, outstretched arm, the result of a competition in 1532, judged by Raphael, no less. When the original arm was unearthed, and shown not to be outstretched, it was reunited with the sculpture, which had looked different for the past four centuries . Writing with the statue of Laocoön in mind, the 18th-century writer Gottfried Lessing famously drew a distinction between the arts that work in time (nacheinander) and those that work in space (nebeneinander). While we can read an incomplete verse, or take pleasure from contemplating the unfinished strokes of a pencil, music exists in time. It needs performance: active realisation in sound. The pleasure of reading a musical fragment in an archive is essentially antiquarian. It excludes those who cannot read scores silently. Music's sensory realisation in time sets it apart in this context. Many 'pieces' remain incomplete, from fragments of chant to Bach's St Mark Passion and Mozart's Requiem, from symphonies by Beethoven, Schubert, Mahler and Elgar to operas by Weber, Donizetti, Mendelssohn, Verdi, Liszt, Puccini and Berg. Some, such as the Requiem or Mahler's Tenth, have been completed multiple times by multiple people . In several cases, we've become comfortable with these 'completions', many of which date from the second half of the 20th century, and have been recorded by the world's top conductors and orchestras. But this is not always the case. In 1966, musicologist Paul Henry Lang poured scorn on the first 'completion' of Mahler's Tenth symphony by Deryck Cooke, writing : 'One never hears of an archaeologist adding a missing arm of his own making to a recovered Venus, nor would his musicologist colleague do any such thing to a symphony.' While there are many such additions to sculpture, perhaps the point is whether the restoration is faked up so you can't see it. Cooke's work was blessed by Mahler's wife Alma, yet — in at least one respect — Lang's reasoning is sound: no two creative personalities can be alike, meaning that even with all the expertise in the world, some level of creative difference creeps into any such 'completion'. And attitudes haven't changed much. The classic example of such a debate may be the speculative completion of Beethoven's Tenth Symphony in 1988, where the exaggeration of evidence in Beethoven's manuscript generated similarly fierce reactions . From this arises the question of whether we should simply leave unfinished works alone in silence. Where existing notation can be performed to a point, should we stop dead in performances ('and here, ladies and gentlemen, the master died')? Should we relegate knowledge of such works to specialists, as Lang suggested? And could we bear to forego Mozart's Requiem and Bach's Art of Fugue in this way? It seems clear that latter-day performers and scholars ought not to intrude arbitrarily on the integrity of any particular composer's materials. But consider the flipside. If performable music fragments are present, can we allow them to sit in silence, or is there an ethical obligation to bring the music into the world, as a kind of social property? My interest in this debate concerns my recent work towards an edition and first performance of Liszt's Sardanapalo , an opera assumed to be fragmentary and irretrievable, but which — on closer investigation — proved to be a continuous piano-vocal score of the first act. It is occasionally written in shorthand, but otherwise specifies the music's cardinal parameters virtually in full: pitch, rhythm, melody, harmony, counterpoint, texture. For nearly two centuries, the hard-to-decipher notation concealed some 52 minutes of music by one of the most famous musicians of the 19th century. Simply put, I felt an obligation to bring this into the world. 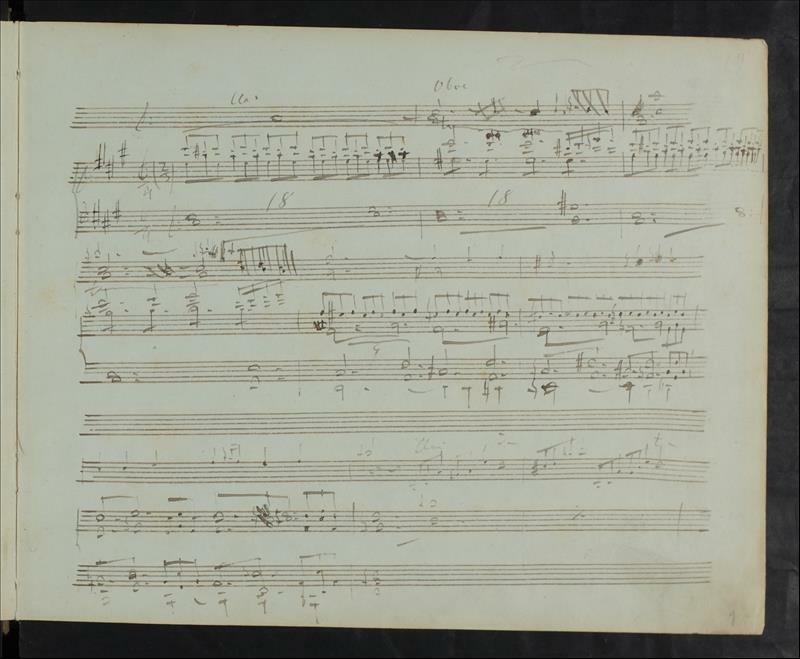 The score still needed orchestrating according to Liszt's instrumental cues (a task he remitted to an assistant in 1851, but which never took place). With the exception of this and the final 20 bars – which I supplied based on his earlier closing material – no 'compositional' input was needed : Liszt notated or otherwise abbreviated a full conception of the music. But to be realised, it needed to be read in the context of conventions of Italian opera and Liszt's notational practices. And the resulting music? According to critics it is ' absolutely fascinating ', ' a thrilling piece of music ' – 'think Bellini reimagined by Wagner and you have some idea of the vast emotional sweep of this gripping music '. Faced with a similar situation to my own, the composer Ernst Krenek argued that: 'Completing the unfinished work of a great master … can honestly be undertaken only if the original fragment contains all of the main ideas of the unfinished work.' What is meant by 'all the main ideas' depends a lot on the source situation, and the reliability and clarity of the individuals' notational habits. The modern, free composition of an absent bridge passage, a missing theme or even an omitted movement would never warrant publication under the name of a historical composer, in my view. We trust scholars implicitly in this regard. And musicological work depends in large part on reliable scholarly editions. In the end, then, clarity about how extensively 'all the main ideas' exist can offer balm against concerns about editing 'unfinished' music. Facsimiles, particularly open-access online facsimiles of original manuscripts can offer full transparency for those with eyes to see and an inclination to investigate. Maybe, then, our beguilement at unfinished art can be shared, unguarded, with unfinished music.